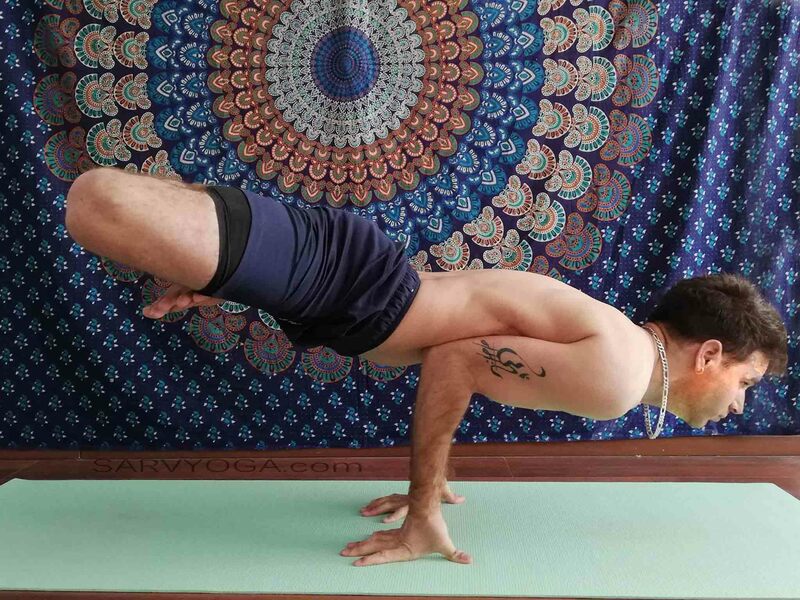 Here is an interesting as well as awesome Asana – Lotus in Peacock Pose and Padma Mayurasana in Sanskrit. Padma Mayurasana requires strong arms, abdominal muscles along with good sense of balance. One more thing before getting into the position of Padma Mayurasana you have to come into the position of Padmasana (Lotus Pose). It means if you’re comfortable with Padmasana along with you have strong arms then definitely Lotus In peacock pose is a little bit easy for you. Lotus in Peacock Pose is the excellent combo of Lotus Pose & Peacock Pose. Mean to say that, one Asana gets you the benefits of two Asana. Padma Mayurasana is also famous for curing problems related to digestive system (Improves digestion, kick out impurities from your blood and beneficial in constipation). First, come into the position of Padmasana (Lotus Pose) with properly folded legs cross each other. Before doing this, perform some light body warm-up exercises. Once you’re comfortable getting into the pose of Padmasana, try to bend forward with palms placing on the floor (keep your palms pointing backward). Then, twist (bend) your both elbow and keep them close to each other. After that, lean in a forward direction and put your elbows against your abdomen (middle part of Abdomen). After that, try to more lean forward and shift your trunk weight on your upper arms. Next step is, take a deep breath and hang on for few seconds. Then, raise your legs without breaking the Padmasana above from the ground (lift your legs in the Padamasana parallel to the floor). At this point, you’ve to maintain your balance as much as you can. Now, this is the final pose of the Padma Mayurasana. Retain your breath & remain in the position. If you easily remain in the position for long duration then breathe slowly in the final stage. To discharging the pose, first gently lower down your legs on the floor & come into the initial position (Lotus Pose). Remember that, breathe out while you’re lower down your legs. Lotus in Peacock pose, kick out constipation as well as improves your digestion process. Padma Mayurasana makes your ankles along with your knees more flexible. Lotus in Peacock Pose strengthens your wrists, elbows, and forearms. It gives you physical and mental balance. Also, it improves your sense of balance. Balance your Tridoshas and calms your mind. It massages and tones your abdomen area. Lotus in Peacock helps in the problem of spleen enlargement. Very effective for diabetic patients. Improves the function of your pancreas. Purifies your blood by removing toxins from the blood. Many Yogic experts believe that Lotus in peacock pose solves your skin related problems. 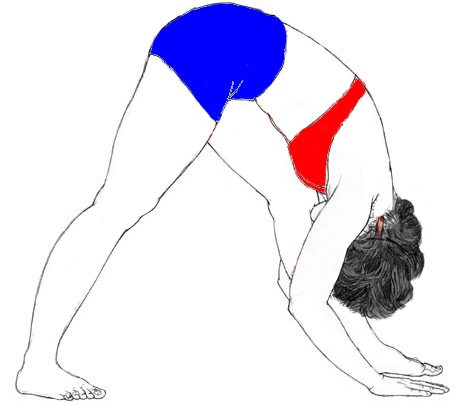 Avoid Lotus in Peacock Pose in elbows, wrist or knee injuries. Sciatica patients strictly don’t try to attempt Padma Mayurasana. Also, avoid Lotus in Peacock pose in Heart-related issues as well as in High blood pressure. Pregnant women should not try Lotus in Peacock pose. In case of surgery which affects your chest or abdomen also avoids this Pose. 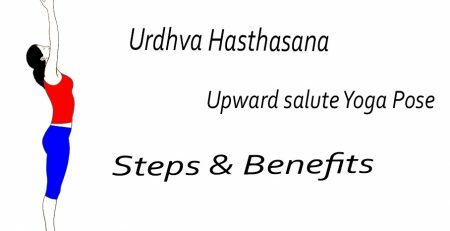 We always mentioned that; perform all the yogic activities under the supervision of an expert person. If you have some medical history then, concern your medical advisor. Do all the asana carefully with correct steps. Keep a 4 to 6 hours gap between your meal & your Yoga season.